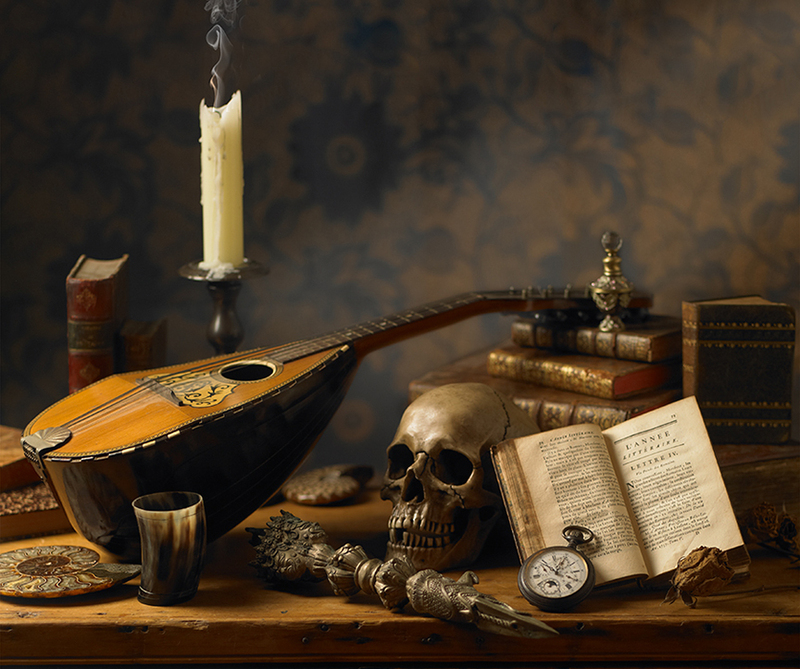 Following the original Baroque paintings of the Lowlands, the objects and props used in these images seek to follow the established symbolism represented in vanitas paintings, namely the passage of time, the futility and brevity of life, the conflict between religion and science, death and life after death, decay and the false promises of earthly riches. 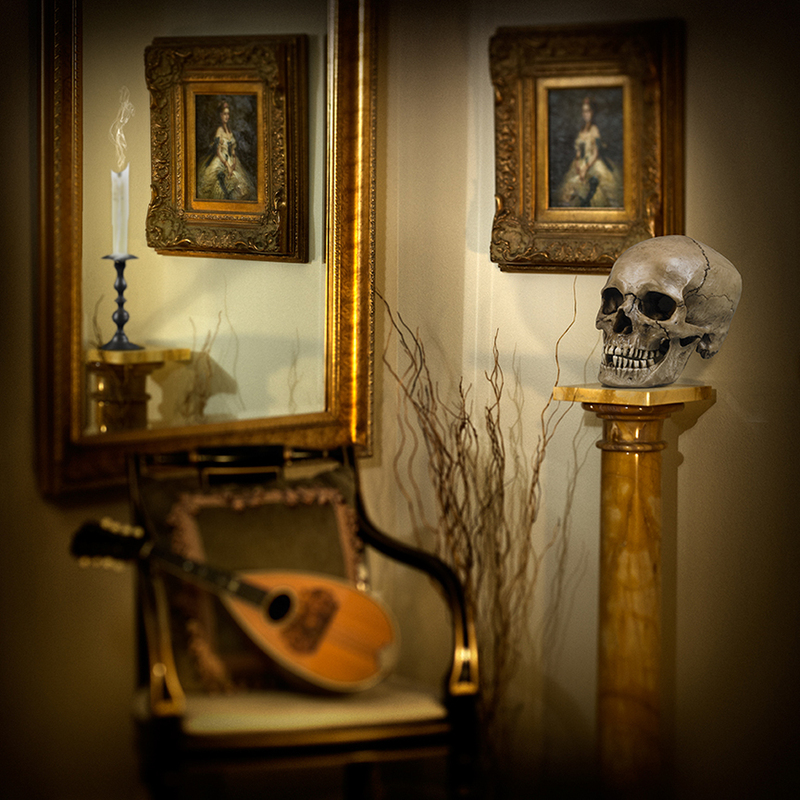 The term vanitas is derived from the Latin word for vanity, the futility of earthly pleasures and the rapid passage of time that leads to an implacable death. Some themes also question religious dogma versus the scientific progress of the 15th and 16th centuries that would eventually lead to the age of enlightenment. 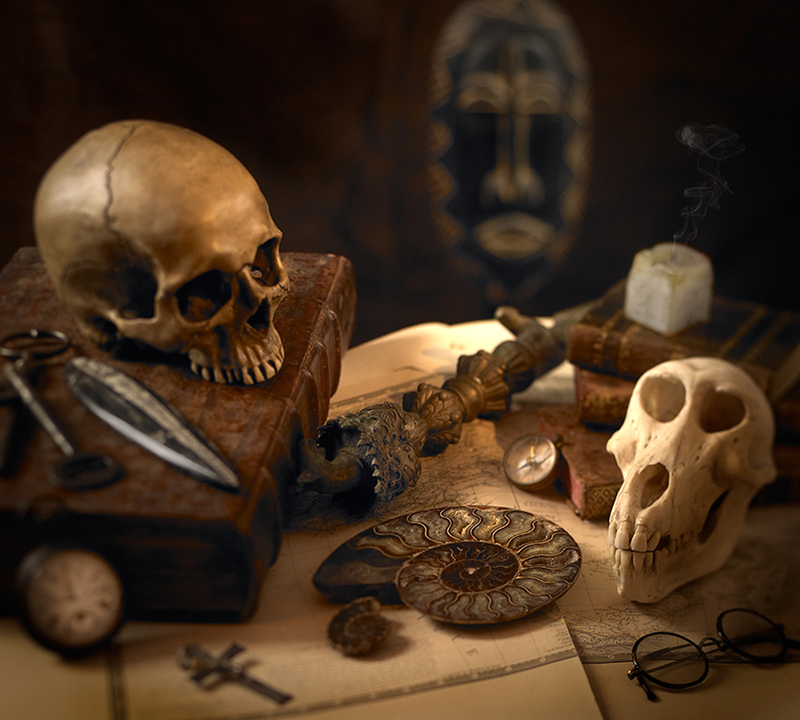 The concept behind this series of images resides in photographic replications of the style, themes and objects found in the original vanitas paintings of the 15th and 16th centuries, greatly influenced by this particular genre.